PR Career PR Specialist: One of the 50 Best Careers of 2010! PR Specialist: One of the 50 Best Careers of 2010! This article also goes into details about the PR Specialist specifics, some I've listed here on the blog before. It talks about the outlook for PR Specialists, moving up the ladder, stress levels, activities a PR Specialist might partake in, as well as education and monetary information. •It's looking good: Employment of PR Specialists is expected to increase by more than 66,000 jobs between 2008 and 2018. 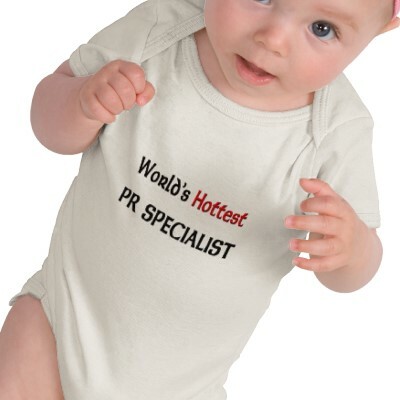 •Activities of a PR specialist can vary from desk work to working in the field all day. •With deadlines and unexpected questions thrown your way, life can be stressful as a PR specialist. •Education can vary as well, but a bachelors is usually required; most PR professionals have a bachelors in journalism, PR, communications, or other related fields. •Median annual income last year: $51,300. With the increase in employment, it looks like a good time to be a public relations specialist. A few tips I could offer in the way of stress as a PR specialist: ensure that you are a central person who facilitates everyone being on the same page. This can help reduce the stress of an unexpected question, potential crisis, etc. Getting everyone in the company who may be questioned by the media can make a world of difference. Also, prioritize; writing a press release may be difficult, but as we've all learned in college, the last minute is no time to wait to finish things. As with any profession, set deadlines for yourself that take into consideration the other people you will have to rely on, as well as the other deadlines you may have. Overall, PR Specialists seem to be doing well. For other information on the other 49 best careers of 2010, check out US News' article here. That list includes other business careers such as a meeting planner, logistician, cost estimator, accountant, and market research analyst.